Welcome to the #14in2014 2nd Quarter Check In! 1. Fully launch a Women’s Health Focused Nutrition Private Practice by 3/31/14 – Revision made from 3/31/14 to 12/31/14. I haven’t made many steps toward my launching the practice I’ve been talking about for ages. Many things have come up (like selling my Brooklyn apartment and traveling) that have shifted my focus this quarter. I hope to make more progress in this area by next check in. I’ve made a few connections but given the stagnation of my practice development, I’ll also need to put more effort into this area as well. 3. Redesign blog and promote to raise traffic and subscribers 25%. – Not. At. All. I’ve taken quite a few breaks from blogging this quarter. They’ve been long breaks and instead of gaining traffic and/or subscribers, I can be sure that I’ve lost some. The redesign has also not happened yet. I have a new theme but haven’t utilized it yet. I hope that at the next check-in I can say that I have at least redesigned the site and worry about stats later. I also have failed in providing certain posts like the follow-up to the Fabletics Review post. Fabletics Review Round 2 will be published in July. 4. Develop (and stick to) a system to maintain/grow social media presence/blogger interaction and achieve life/work balance. – See #3. Right now I need to get back to blogging more regularly. I’ve definitely been active on Facebook and Instagram but my Twitter presence has been lacking. Once my blog redesign is done, I’ll make the decision on whether I’ll start a separate Facebook page for the blog. The life/work balance is a unicorn that I’m not sure that can be achieved but I do want to be able to improve my writing efficiency and spend time with my family while not staring at my phone. 5. Become an ambassador for a favorite brand and/or receive revenue from blogging – Sort of. While I wasn’t made an official Ambassador for the Live Ultimate Run Los Angeles, I do now have a relationship with this very special race. Once I refresh the site and resume regular blogging, I will identify 3 brands that I’d like to connect with. 6. Showcase at least 50 women for the weekly Friday’s Featured Female series. – Revision required. Due to my blogging breaks, I am not on track to feature 50 women. However, I do want to get this series back up and running starting in July. Any nominee requests? Let me know in the comments. 7. Engage in a monthly Professional Development endeavor. – Surprisingly, yes. Even though I had to cancel the Gestational Diabetes Conference I had scheduled in April, May was busy. I spoke at the A Healthy U Conference presented by Kimberly@ManifestYourself, Schnelle@BrooklynActiveMama (check out her new blog design) and Cassandre@LosingInTheCity. I also attended the Today’s Dietitian Symposium in Las Vegas. My June endeavor marks a year since my favorite fitness event of the year, FitBloggin‘! I’m looking forward to learning new things, connecting with new and old friends and multiple workouts per day in Savannah this week! 8. 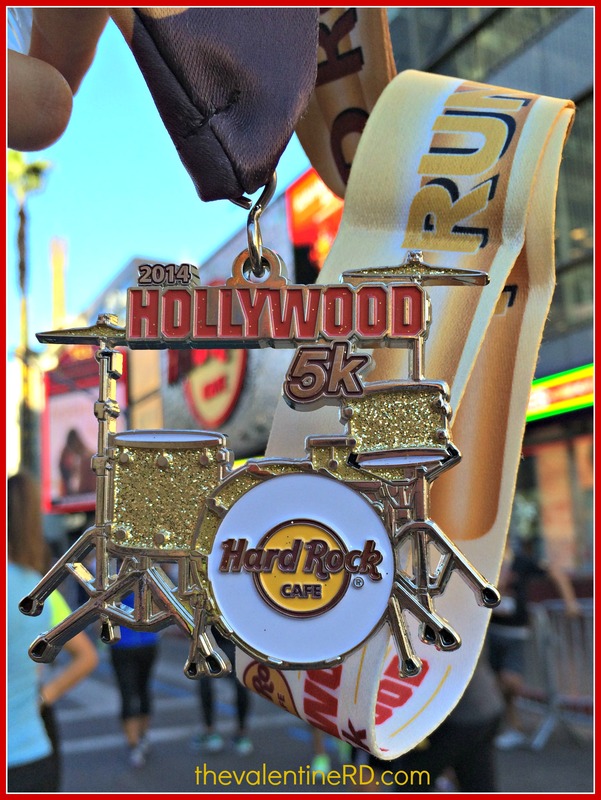 Run 2+0+1+4 (7) races (including So Cal Ragnar Relay) – Yup! For 1st Quarter, I ran 3 races, the LA Chinatown Firecracker Run, the LoziLu Mud Run and the So Cal Ragnar so I’m doing all right with this goal. In this quarter, I ran the Live Ultimate Run LA and a race while on vacation in IL (post pending). I’m eyeing the Awesome 80’s Run in August and one or two more races so this may be my only easy goal to achieve! 9. Perform 14 Random Acts of Kindness – Maybe? I haven’t been keeping track. However, I did just sign up for a “Pay It Forward” random gift to 6 of my Facebook friends so I guess this counts. 10. Improve self-care with focus on one monthly/quarterly goal – Fail. Fail. Fail. My goals for the quarter were: April: To get organized, May: Overhaul the blog and June: Focus on the private practice and I failed on all 3 counts. The 3 goals are still viable but need to be reprioritized and clarified so here’s what I plan to focus on for 3rd Quarter – July: Write Blog and Business Plan, recommit to consistent fitness and blogging, August: Begin Blog Overhaul and September: Private Practice focus. Katy@JoyLaughterSweat, Monica@RunEatRepeat, Shrimpy me, Gillian@That’sG, Tiffany@RunningHutch – I may need to retire these leggings, I seem to wear them everywhere. I did try a new class on my vacation in Chicago and have a pending review post in the works. I also resumed some indoor cycling classes but since a lot of this blog began with me talking about indoor cycling, it certainly wouldn’t be considered a new class. I have a few classes that I’d still like to review like Studio Metamorphosis in Pasadena, Orange Theory Fitness, Aura Yoga and 4 of the 5 fitness classes I mentioned in this old post. Anyone up for a date with Richard Simmons anytime soon? And I want this t-shirt! 12. Read 14 books (it’s scary that I need to make this a goal). – Sadly no. It’s not my new obsession because there’s an actress with the last name Burton but it’s great teen drama with an excellent soundtrack. Must step it up. Book suggestions are welcome. 13. My secret goal: To be revealed at year-end. – Still in progress. Still not giving any hints but the target may be shifting. You’ll all know when the time is right. Yes, this is my pillow from the 80’s. Thanks Jay for bringing it back for me. I do have quite a few other concerts for this summer though – like the Retro Futura tour with Howard Jones, China Crisis, Midge Ure and Tom Bailey of Thompson Twins. I also hope to go and see the free Stan Ridgway/English Beat show in Pershing Square. I’m toying with the idea of going to see Counting Crows but I’m pretty sure that they won’t play “August and Everything After” in it’s entirety so it’s likely going to be a no. Bottom line for 2nd Quarter Check In: Whomp Whomp; Not such great progress BUT since the year is only half over, I still have 6 months of time to put in some solid work. Digging out of a rut isn’t easy but it is required if change is desired. The link-up at the end of the post is not just for those who originally signed up for the original #14in2014 post. Link up if you’d like to join for the remainder of the year! We’ll check in for two more quarters (in September and December) not only to keep us honest and on track but to support one another to keep the goals/resolutions/intentions that were important in January top of mind year round. How has your 2014 been going so far? Think you’d like a little support. 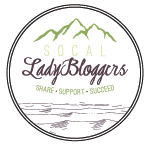 Join in, blogger or not in the comments and we’ll loop you in at the quarterly check-in. It’s so refreshing to read your goals because you sound and act like a normal human being, doing the best you can. You had the balls to set some lofty goals and you have achieved quite a few of them. I would relish in the achievements and just keep plugging at the others – they are NOT failures. I also LOVE the Sanberg quote because it’s so ridiculously true. Can’t wait to see you tomorrow 🙂 FitBloggin’ here we come! Don’t be too hard on yourself! You’re doing a great job reevaluating your goals and making plans to make them happen even if they don’t happen as quickly as you would like. I’m sure you will reach all of your goals! This is kind of a weird year for me. My only real goal is to have a healthy baby. So far on track! You have a a bunch of goals, my dear! Kudos to you for knocking quite a few of them off of your list. It’s hard not to get discouraged, but you’ve had a lot going on. Especially moving! – and I want your concert schedule! I’ve only been to 2 real concerts. I’m on track with some of my goals but WAY off with others (like reading 12 books or doing yoga 50 times in a year…fail). 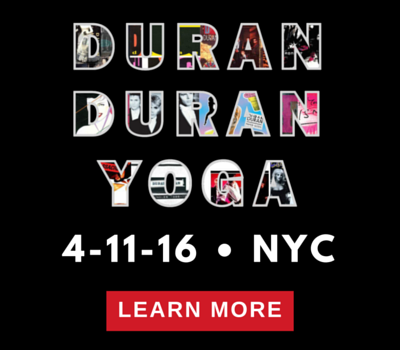 Let’s do Aura Yoga together sometime after the bar! I’ve been wanting to try it too, and I just took a mini-class with Jake from Aura at Whitney’s event last night! I’m on my way! The check in really helps. We are halfway through the year and I feel like I have accomplished some things and have time to tackle the rest. We can only do so much. I am learning to not make so many “goals” – perhaps next year I will call them “hopes.” I may list what I hope to accomplish and aim to acheive for 2015….food for thought. Thank you for your honesty and encouragement! Melissa you are such an amazing role model! You are a total rock star! I agree with Allie – that your post reflects real life and the real world. It’s not always sunshine and rainbows and goals checked off in an orderly fashion. But the fact that you have set these intentions and are moving towards them IS more than a lot of people can say. I need to check in on my goals too. 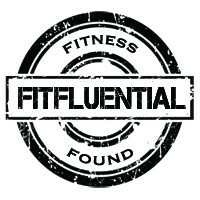 I wish I were at Fitbloggin with all of you! 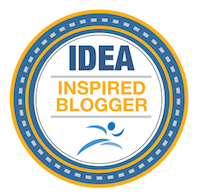 I just signed up for IDEA Fit as a birthday present to myself – so excited to get in a conference this year! Thank you Allie for the support! It was great to see you this past weekend. I think that the latter half of this year is looking good already. I like being able to adjust my goals but sometimes not reaching them is tough. This is definitely a unique year for you and I think you’re up for one fabulous endpoint! Two concerts?! We must do something about that!!! So glad to have seen you this past weekend. We didn’t get enough time (of course). Keep me up to date with your summer conference plans, please! Whitney’s event looked awesome. Once your bar stuff is over, let’s definitely make a date! I like the idea of “hopes” rather than goals. For me though, I think I’d feel less accountable and not work toward achievement but a reframing may be something I could use in the future. Thank you, my smart friend! Come on down Alli! It’s not easy (especially when you’re lagging with what you want to be doing) but I like keeping myself honest. Thank you Mary! I hope once you get your goals post together that you’ll link up too! Maybe you’ll do the September link up? Thanks lady! I’m glad to be putting out truth even though it feels a bit like failure. I know I set some (maybe too many?) lofty goals to tackle but this particular check-in made me think. FitBloggin’ certainly helped feed my soul a little bit and I think that this quarter will be a good one. We missed you! Hope all is well and that maybe I’ll see you soon! Yay that you’re going to IDEA! We must chat more about that as we get closer (did I miss your birthday?!?). I like the idea of celebrating any and all progress – thank you! I’m hoping that I’ll be able to reveal the secret goal before the end of the year! !